Mark is a veteran IP attorney who in the course of his 20+ years as an IP attorney has counseled clients in protecting and managing their IP assets via patent preparation and prosecution, IP counseling and litigation, and IP due diligence and opinions. He represents U.S. and overseas-based clients, with extensive representation of clients in European and Asian countries. Technologically, his focus is in the electrical, electromechanical, computer software and hardware, and business method arts, with an emphasis on the fields of computer systems, communications and telephony systems (mobile and land-based), and Internet technologies. Mark is frequently asked to speak domestically and abroad on various aspects of US patent law, particularly when changes occur in view of high level court cases. He is an elected Foreign Member of the Chartered Institute of Patent Attorneys, a London-based organization serving patent attorneys in the United Kingdom. 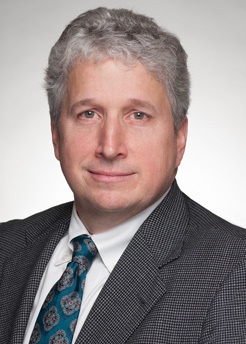 Prior to joining Saul Ewing Arnstein & Lehr, Mark was a Partner at Synnestvedt & Lechner LLP. In addition to his New Jersey and Pennsylvania bar admissions, he is registered to practice before the U.S. Patent and Trademark Office, the U.S. District Courts for the Eastern District of Pennsylvania and District of New Jersey, the U.S. Court of Appeals for the Third and Federal Circuits and the U.S. Supreme Court. Microsoft v. i4i: An Agent 4change?